DBS PRINT AND MARKETING team of seasoned professionals has been providing our customers with superior products and services since 1990. If you don’t see what you need call and one of DBS PRINT AND MARKETING professional team members will work with you to create the product you need at a competitive price. Contact us to learn more about our Printed Material Products and Services. We would like to create a custom quote for your company and present the medium your applications require. We will be creating detailed applications and present examples, including some prototypes and list of possibilities. To get a presentation and prototypes of possible applications please contact us so that we can determine the needs of your company. DBS PRINT AND MARKETING Variable Data Printing is used to custom ize each and every document within a printed job. Black or red ink comes standard, but other color options are available. We offer a wide range of numbering types, sizes, and bar code symbology. 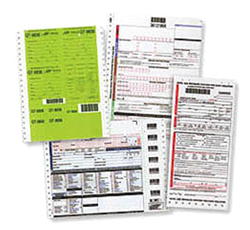 Variable data printing is ideal for categorizing, organizing and numbering multiple types of documents through serial numbers, bar code systems and unique bit map applications. When you want to promote your products, communicate your message and enhance your company's image, turn to our colorful line of printing. We have the knowledge, capability and expertise to provide you with a variety of short to long run commercial products DBS PRINT AND MARKE TING offer professional quality printed pieces, including packaging, postcards, stationery, catalogs, coupons, boxes, newsletters, floor displays and just about anything else you request. DBS PRINTING AND MARKETING will help you meet your label needs by providing 4 color process, custom multi-spot color, marketing and promotional labels, bumper stickers, laser labels, continuous labels, tickets, tags, drum labels, industrial labels, hospital and healthcare labels. LET DBS PRINT & MARKETING HELP YOU COMBINE MULTI TASKS INTO ONE DOCUMENT AND GIVE YOU THE RESULT IN REDUCED PROCESSING TIME AND COST SAVINGS. 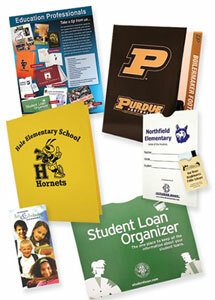 Putting your institution's name and logo on your envelopes is a simple way to enhance your professional image. 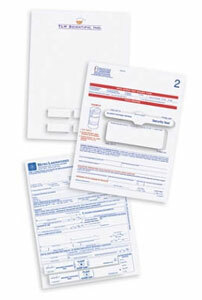 We also offer matching letterhead and envelopes. Tell us what you need, and we will give you a professional, quality form that will work for you. Request a quote today!